It’s all about how we frame things in our mind. Whether that be get to vs. have to or reminding ourselves we don’t have to overthink something trivial, it starts with us. Life is complicated and our future remains a mystery. We may not be able to control every outcome but we can dictate our mindset. Let your thoughts run wild with ‘best case scenarios’ and positive thinking. Don’t forget to breathe, I promise it helps. Community post #2! Thanks so much to our guest writers – I’m excited to share more. This post is by a fellow gratitude writer. We connected and talked about the power of gratitude over email and now this. Check out Ryan’s gratitude journal at ryannjohnson.com/gratitude/. Yesterday, I went with a friend to get dinner and ice cream at a mall nearby. It was the nicest mall I’d ever been to, featuring art installations in walkways, tall glass on every storefront, and the bustling atmosphere of the holiday season. We arrived at the restaurant we wanted to eat at. They had an hour-long wait. My friend put down his number and we left to wander the mall until our table was ready. The two of us walked, window shopped, tried on and bought new shoes, and lounged in one of the many sitting areas littered across the expansive public space. Before we knew it, our table was ready and we strode over to enjoy a delicious meal together. I’m grateful that an evening like this can be commonplace in my life. I’m aware of how terrible others’ circumstances can be, how my own fortunate circumstances were gifted to me, and that this privilege is ephemeral and it will be gone sooner than I realize. The safety of my friends and family. My capacity to fall in love and that I continually do so. That my body still works. That my body still works well. The people who have stepped into my life and become my mentors because of the mentors they themselves have had. My reclining couch that ruins most other couches I sit on. Patrick Rothfuss’s “The Wise Man’s Fear” on Audible. Being able to make and eat my own favorite meals any time I want. Having a job I inherently enjoy. That I’ve fallen into a line of work that I’m good at and is in relatively high-demand. Having co-workers who care about one another and that I genuinely enjoy spending time with. That I live in America at a time when opportunities to shape my own life have never been easier. That my psyche is still intact and hasn’t shattered under the stress of events I cannot cope with. This laptop that I got a super good deal on. My curiosity that motivates me to learn. Relationships with my parents that have grown so fulfilling as I’ve gotten older. That I’ve never been part of the food chain. That I don’t live in constant fear or dread. Friendly neighbors with healthy boundaries. Explosive music for exhilarating runs. The people who love and care about me, even when I sometimes don’t feel worthy of love. 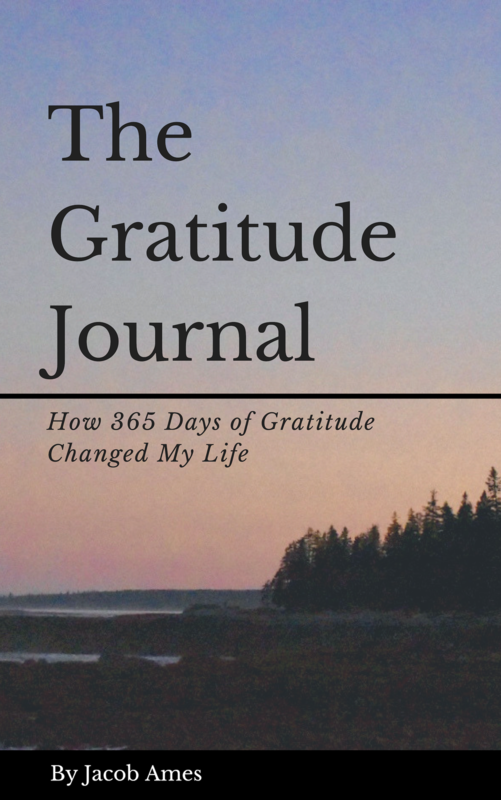 Thank you Jake for having me do a guest post on your gratitude list! Featured image of a blurry London. I’ve enjoyed exploring the city and making the most of my time here in England when possible. I think far too often we can become so focused and determined on forcing ourselves to be happy, blindly pursuing what we think is fulfillment. We may try to force relationships, both romantic and not, in a desperate search for feeling love. I think true and actual happiness and fulfillment and love come to us in a way out of our control and in their own time and in their own surprising ways! Of course we can make conscious choices that will help us get there but we can’t really control it – all we can do is have faith. Wow is she wise or what? I couldn’t agree more with her and as we let go to the power of the universe, we can find what we need most. I’m grateful for people like Ashley and lessons like this. Featured image of the sun going down in Liverpool tonight. What a special day with my brother, one I’ll always be grateful for. Featured image from the beach in California. Grateful for the sun and the warmth. The beach will always be one of my favorite places. I’ve made posts about “Home” before. What it feels like, who you share it with. It’s an important feeling to come back to. It’s where you can use gratitude to keep you grounded and people to remind you how important the present is. Featured image of my own. My family. Wouldn’t be here without these people. Featured image of my family. Feeling especially grateful for their love and support today. Picture was from last summer. The old me would have stayed in my room and watched movies till my back hurt from laying down. What I ended up doing today was far more fun. I walked around, I asked questions, I even stayed out past dark. Because my phone doesn’t connect to the Internet I have no map or direction other than what I remember for landmarks. Getting home felt like a sense of accomplishment to top off a really great day. It only makes me more excited to share this with people when they visit this summer. Featured image of another picture from my adventure in Iceland! Slowly but surely I’m editing and will upload a full blog soon.